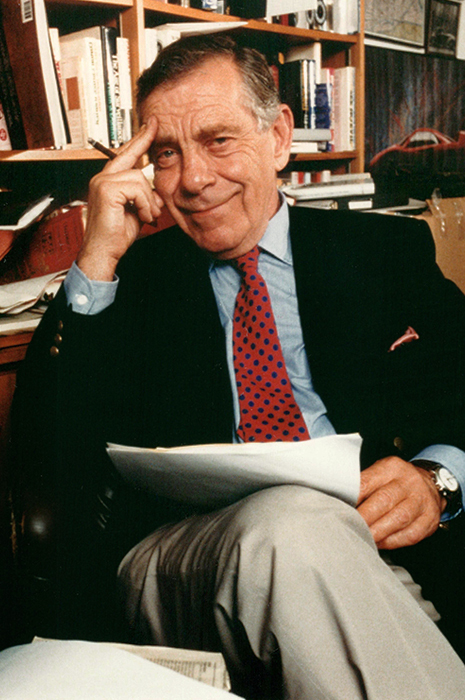 Morley Safer, 1994. Courtesy of Jane Safer. The Morley Safer Award honors one of the most respected and celebrated journalists in the history of television. “No correspondent had a more extraordinary range,” said former CBS News President David Rhodes. “From war reporting to coverage of every aspect of modern culture, his writing alone defined original reporting.” Safer’s groundbreaking coverage of the Vietnam War brought the hard realities of the conflict into America’s living rooms and changed U.S. attitudes toward the war. He was widely regarded as the best television journalist of the Vietnam era. During more than forty years at CBS News’s 60 Minutes, Safer’s work included tough investigative pieces and profiles of heroes and villains. His elegant and witty essays introduced us to people and places that were often obscure and always memorable. Safer challenged conventional interpretations and found many of his most compelling stories where no one else was looking. 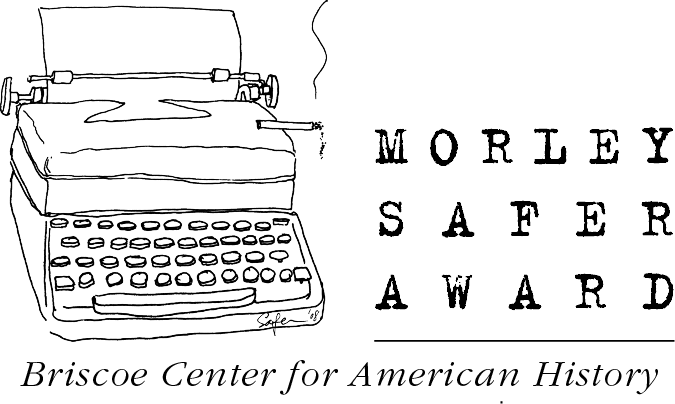 The Briscoe Center for American History at The University of Texas at Austin, in partnership with the Safer family, is launching the Morley Safer Award for Outstanding Reporting. Claims such as “fake news” demonstrate that we are living in a time that increasingly rejects the power of evidence—a concern shared by journalists and historians alike. Celebrating and supporting the integrity, tenacity, and courage of reporters like Morley Safer has become critical to the health of journalism, history, and even our democracy itself. The Morley Safer Award will honor reporting that displays integrity, tenacity, and audacity. The reporting may be in any medium: print, broadcast, radio, or digital. The jury will look for work that honors Safer’s journalistic priorities: challenging conventional thinking, illuminating overlooked stories, embracing history, and a dedication to precise and elegant language. The inaugural Morley Safer Award for Outstanding Reporting, which includes a cash prize of $5,000, will be presented at a lunch in New York City in the fall of 2019.